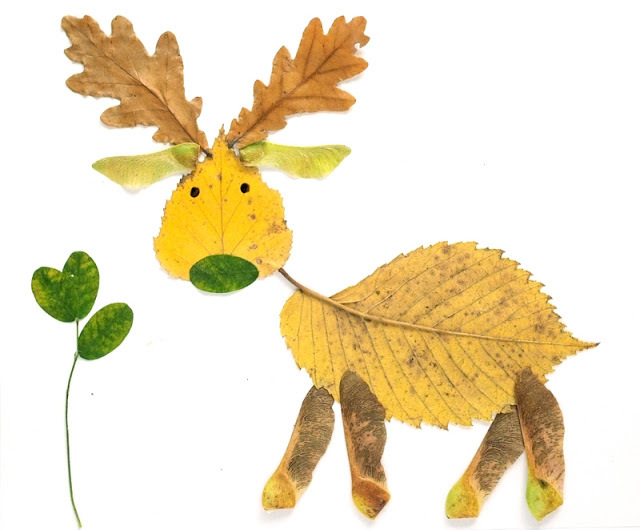 I love this leaf animal - and there are so many other great animals to make too. The best part is - you can gather all the supplies (leaves) on a brisk autumn walk. 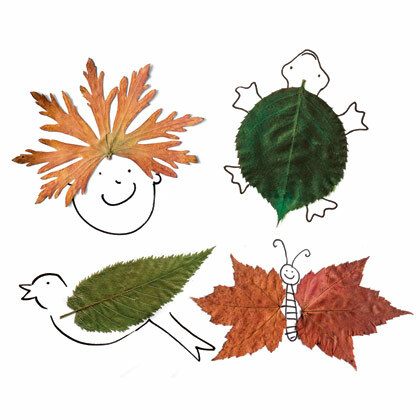 Or if you don't want to make a whole picture out of leaves, why not throw them in with some doodles? Regular doodling is fun, but doodling with leaves - WAY MORE FUN. 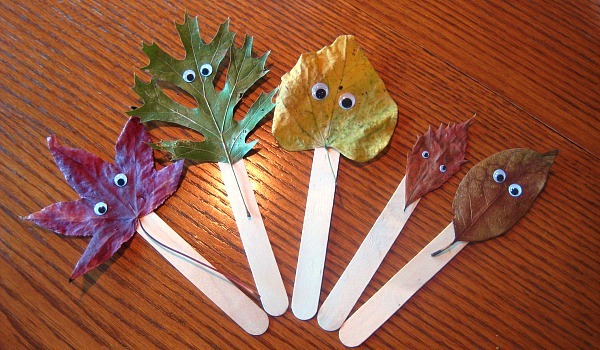 Let the kids have a good time before your leaves get too crunchy and glue them to a craft stick and throw on some googley eyes. They won't last forever, but they'll last long enough to have some fun! 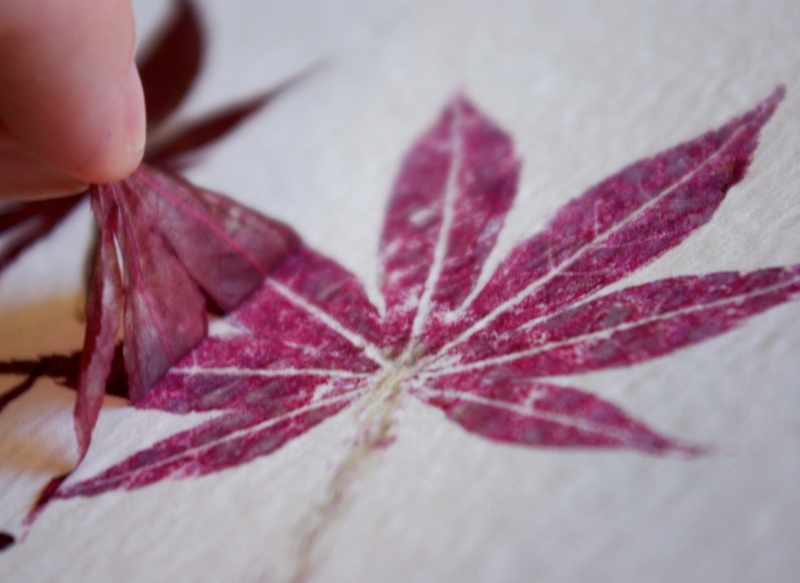 Get some watercolor paper and some juicy colorful leaves and hammer out some natural prints. It's cool that these prints use only the leave's natural pigments. 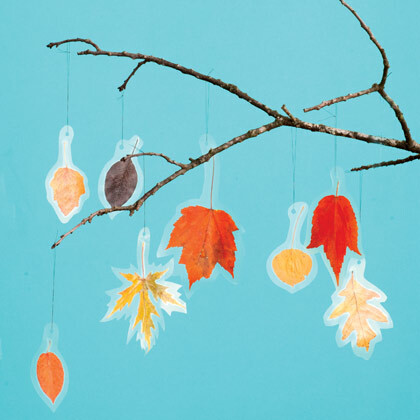 Make a leaf mobile by drying some leaves and sticking them between clear contact paper. Or you can do it the Martha Stewart way and dip the leaves in wax. Either way, your mobile is guaranteed to last awhile! You can check out our other pinterest favorites by looking on our pin boards!